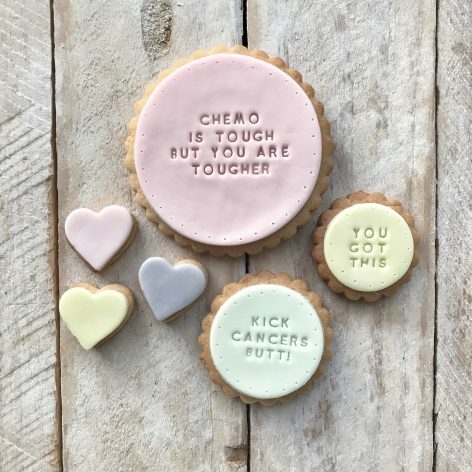 We know biscuits can’t take away the awfulness of cancer, but we hope these might bring a smile to the face of someone who’s going through the ordeal of chemotherapy, and remind them that your cheering for them, and supporting them. 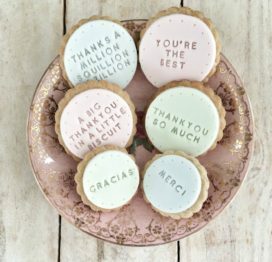 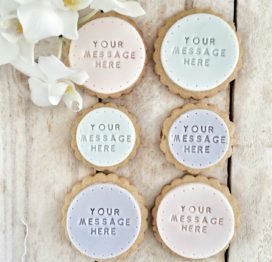 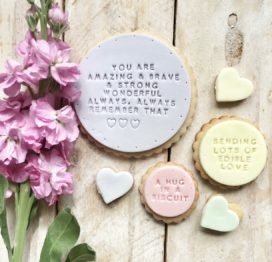 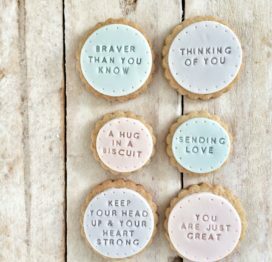 This set contains six of our delicious vanilla biscuits, three of which are stamped with a message of edible inspiration. 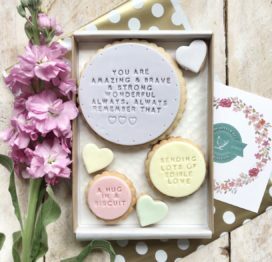 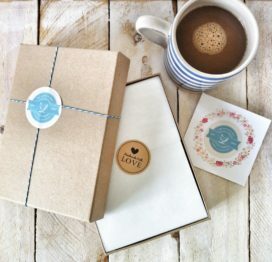 The biscuits are carefully gift wrapped and packaged in our sturdy but beautiful boxes, and will fit through a standard letterbox so no one needs to be at home to receive them.